Your Cigna Saints return for the 2019 Sal’s National Basketball League to bring the championship back home to Wellington. With this season’s line up, you are sure to see the hottest Basketball action around! With slam dunks, steals, blocks, and buzzer beater shots, make sure to get your tickets early and get courtside for two hours of action packed entertainment!! Head over to Saints.co.nz to check out the season schedule and lock in your merch to paint the TSB Arena blue! 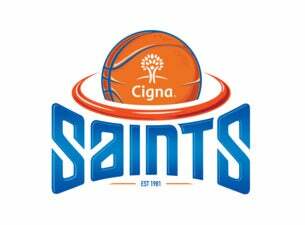 Be part of the action and help your Cigna Saints bring the championship back to the capitol!